2013 was such an exciting year for us! We partnered multiple photo-related hackathons (Seedhack 3, Startup Weekend Mobile Sofia and Photo Hack Day Menlo Park, Photo Hack Day Berlin, Seedhack 4; plus one more coming in a less than two weeks – Photo Hack Day Tokyo!) and created a lot of friends there. We on-boarded new customers and partnered with two great image processing and management services – Blitline and Cloudinary that now offer our smart cropping as part of their feature sets (the latter, still in private beta). Now 2014 has already come, and it’s time to roll out several awesome products, enabled by our recent technology advancements. There is a huge hype around A.I. and machine learning these days. But for us this isn’t just a hype… it’s what we’ve been working on hard in the last year. And we want to bring this to the people (and start-ups, and companies), empowering them to take advantage of machine learning for better understanding and organization of their imagery in the easiest possible way. We are aiming to keep the lean/iterative approach so we’ll definitely rely on your active feedback, ideas, and inclusion in the process. 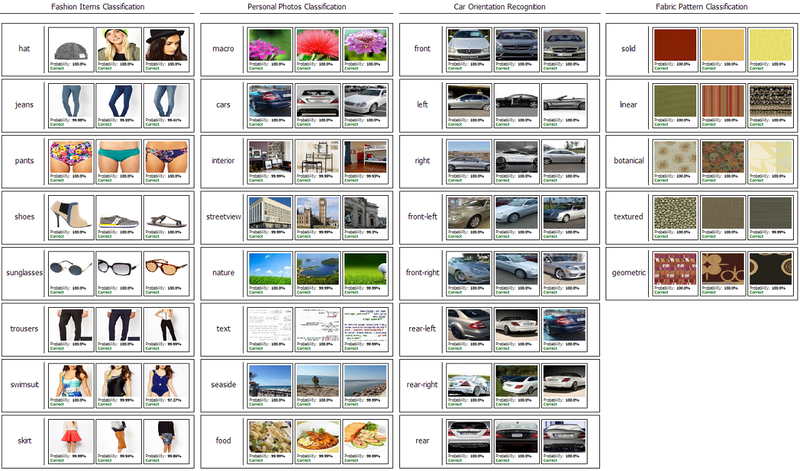 Happy to share that we already have multiple successful pilots with customers taking advantage of our machine-learning-based auto-categorization, as in the example image above, and some more customers in the pipeline. Now it’s your turn! If you are interested in auto-categorization and you think it can help your image-centric businesses or projects (and believe me, it will help them for sure) give a try to our auto-categorization “playground”. Mobile is also going to be bigger and bigger and this is something we are definitely interested in as the development of our smart photo organization app Sliki proves. Sliki was recently selected to join the AppCampus programme so we’ll release it on Windows Phone first (which is a great platform for development BTW), but we also conduct some closed tests on Android. Sign up here and we’ll keep you updated on how Sliki goes. Funny enough, the (hardware-enabled) future seems bright even for complex computer vision on mobile as explained in this video.